The choice to file a bankruptcy is often a difficult one but in today’s economy it has become inevitable in many circumstances, and it can help you get your life back on track. Don’t get overwhelmed and stressed out about your situation, give us a call and we will help determine which Chapter of Bankruptcy, if any, is best for you and your situation. 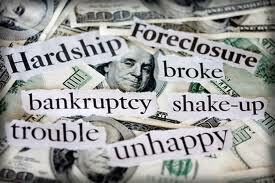 There are generally two chapters of bankruptcy that apply to individuals, Chapter 7 and Chapter 13. A Chapter 7 bankruptcy provides a fresh start and eliminates debt such as credit cards, medical bills, utility bills to name a few. We will need to look at your household size versus your income in determining whether you qualify for this chapter of bankruptcy. Certain debts are not dischargeable in a Chapter 7, for example; child support, spousal support, and student loans. Some assets you own may be at risk if they have excess equity in them. A Chapter 13 bankruptcy is a repayment bankruptcy generally over a period of 5 years and allows you to keep your assets (home, vehicles etc) that have excess equity. determine which chapter of bankruptcy will be best for you.